Enhance your bedroom decor with this stylish Tufted Jojo Tangelo Headboard which features detailed tufted stitching with eight buttons. 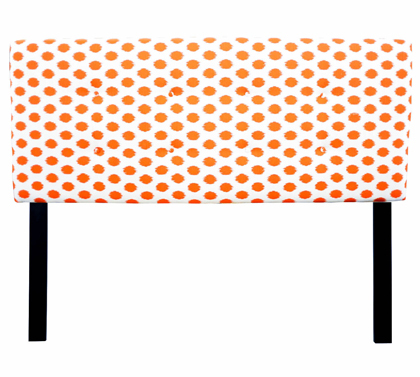 This versatile headboard is height-adjustable and is upholstered in beautiful fabric. $228.99-$310.99. Buy here. 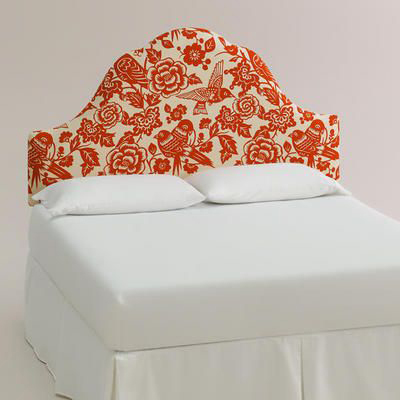 Beautify your bed with this custom-made Tangerine Canary Elsie Headboard, handcrafted in the U.S.A. with cotton blend upholstery on an elegant arch silhouette. Showcases a stylized canary and floral motif in a bright tangerine hue. $399.99-$549.99. Buy here.